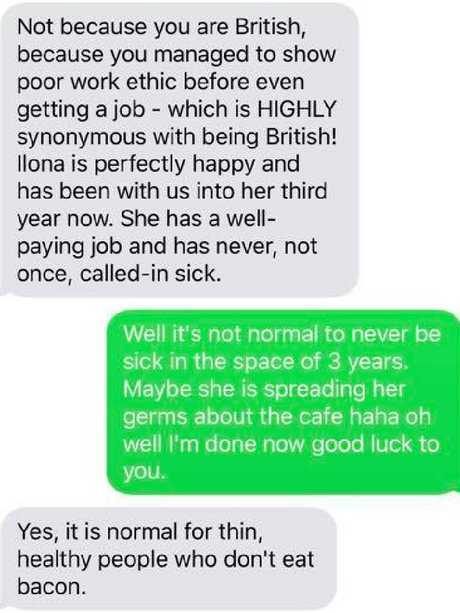 A man has been dubbed "Britain's worst boss" after a series of shocking texts he sent to a job applicant went viral. 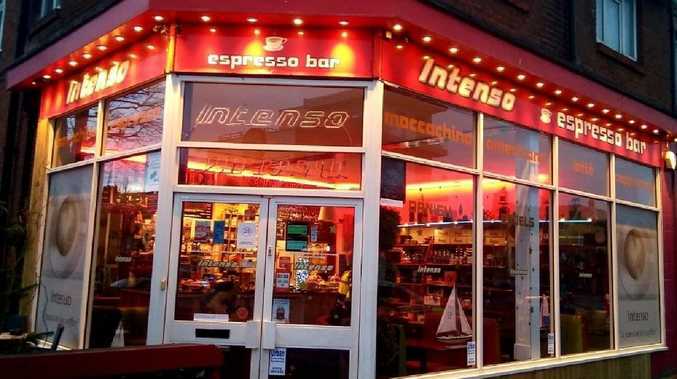 Victoria Atkins, 22, recently applied for a role at Intenso Espresso in Hove, England and was scheduled to come in for a trial shift earlier this week. 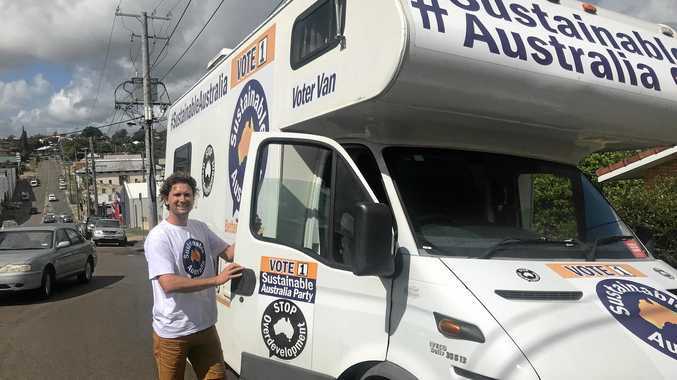 However, she contacted supervisor Jullian Preston-Powers by text to reschedule as poor weather had caused extensive public transport delays and left her "soaked". Initially, everything seemed fine, with Mr Preston-Powers wishing her a "safe journey" and assuring her it was "no problem". 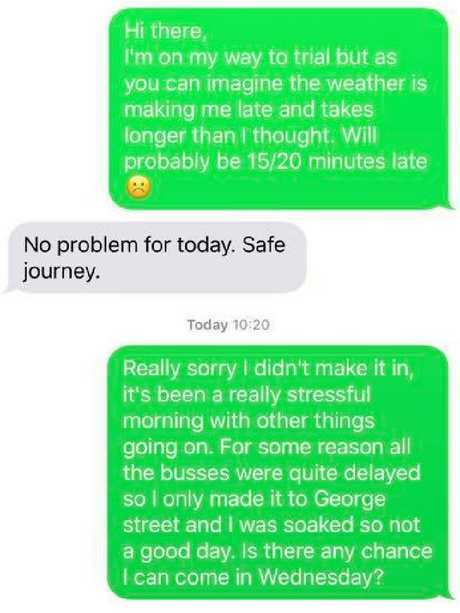 But after Ms Atkins contacted him again to reschedule, it took a worrying turn with the cafe boss telling her she wouldn't get the job, because having a day off - even if a worker is sick - is forbidden. "Sorry you are having a stressful morning. It's probably better you did not succeed in getting the job because you can never be late or miss work at our business. Ever," he wrote. "You cannot ever even call in sick as this is not allowed. 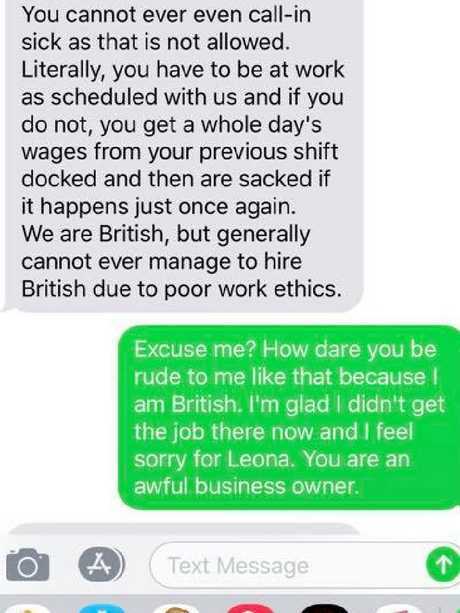 "Literally, you have to be at work as scheduled with us and if you do not, you get a whole day's wages from your previous shift docked and then are sacked if it happens just once again." While sacking an employee for taking two days of sick leave is shocking enough, Mr Preston-Powers also took a dig at the "work ethics" of British people. "We are British, but generally cannot ever manage to hire British due to poor work ethics," he concluded. Ms Atkins called out his rudeness and slammed her potential boss for discrimination, branding him an "awful business owner." But instead of letting the situation rest, Mr Preston-Powers then made a jab at people who ate bacon. After praising another employee who had never been sick in three years, Ms Atkins pointed out it wasn't "normal" to never fall ill - to which Mr Preston-Powers responded, "Yes, it is normal for thin, healthy people who don't eat bacon." Ms Atkins later shared the exchange on Facebook and called the cafe boss "very rude, racist and nasty" as well as being "so unprofessional". Many Facebook users urged Ms Atkins to report the man for discrimination. 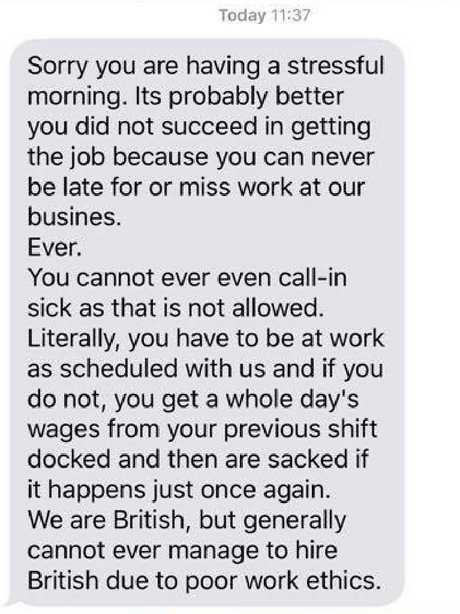 Despite the controversy, Mr Preston-Powers stood by his comments, slamming British workers yet again after being contacted by the UK Telegraph. 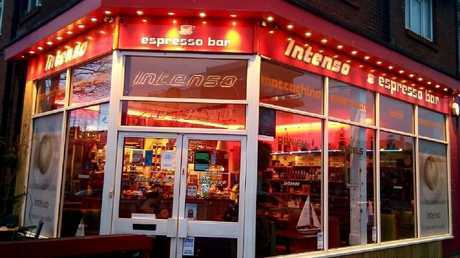 "Our experience of running a small, private, family-run coffee shop in Hove is that the very poorest type of employee is a British one. Full stop," he said. "The last candidate you want to take on - and we try ardently to hire everyone - is British." A spokesperson for Britain's Trades Union Congress told the Telegraph Mr Preston-Powers' attitude was unacceptable. "If he's looking for the title of Britain's Worst Boss, it sounds like he's going about it the right way," the spokesperson told the publication. "It's illegal to discriminate against job applicants based on their ethnicity. "Britain's workers have a very strong work ethic. They put in some of the longest hours in Europe and billions of pounds worth of unpaid overtime each year." The cafe's Facebook page has been taken down, but on TripAdviser it has been awarded 3.5 stars. 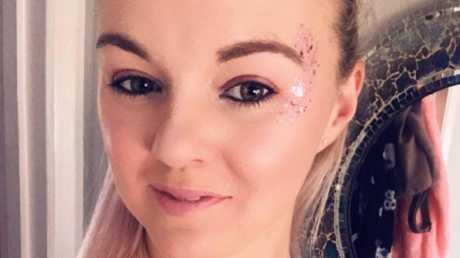 A one-star review posted on the site three days ago took aim at the management's rudeness to staff, "poor employment standards" and hefty prices. Ms Atkins said on Facebook she had several other job interviews in the pipeline.